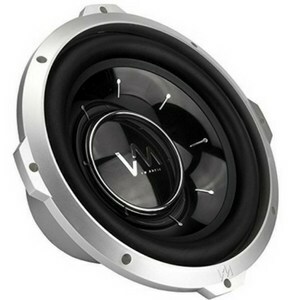 VM Audio is a globally established and expert industry leader in high-performance sound products. The company is dedicated to bringing all music lovers quality sound products that deliver music unparalleled by any other sound company. Through the company’s unbending dedication, it has expanded its audio range to more than simply one type of listener. From the casual listener to the professional DJ, there is a product for all. Listeners can enjoy fine tunes from their cars, Smartphones and/or computers. Yes, even from your yacht. VM Audio professional engineers listen to their users and sculpt new product lines based on customers’ opinions and experiences. 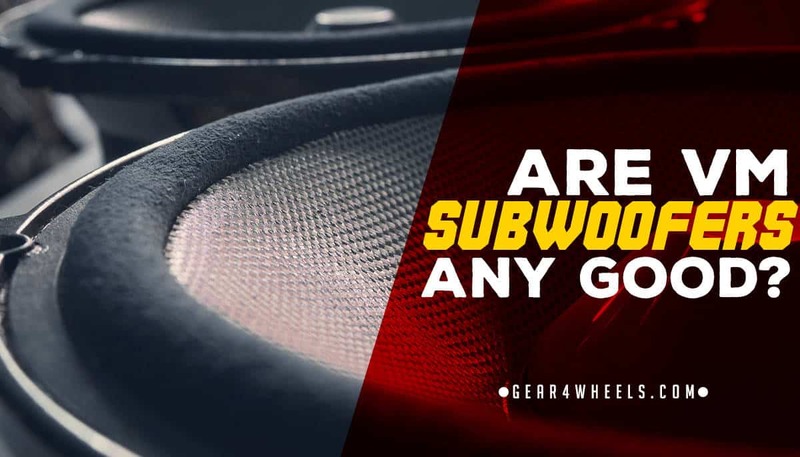 Let's find out if they qualify to be on our list of the best car subwoofers! You’ll never guess this is an entry level speaker series. All products under the Shaker Series produce phenomenal sounds without you paying a high price. The Shaker Series is best suited for casual listeners as they can't easily distinguish different notes compared to professionals. All models have a sleek and sophisticated design. 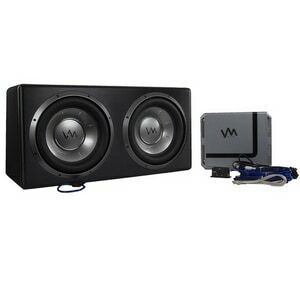 The entry level speaker series keeps to the same quality construction standard of VM Audio’s other products. The Shaker Series gives you sound systems that have extensive versatility, durability and they’re user friendly. The second level speaker series from VM Audio brings power and extravagant performance. The products under this series are better suited for more intermediate listeners. These listeners appreciate different sounds and music, and they understand how high-quality sound systems give them the most out of their albums, movies and video games. Professional DJs, sound mixers and editors will enjoy the pure and highly detailed sounds the Encore Collection offers. The collection features a combination of performance, style, exclusivity and it’s VM Audio’s revolutionary line. The sound engineers have accurately sharpened, refined and rethought every detail of all the products. The result of their hard work is the truest and purest sounds and bass tones. The 10’’ subwoofer is made with the strongest materials to provide the maximum durability you need. It’s air ventilated, impact and harsh weather resistant. The entry level subwoofer is virtually indestructible and gives undistorted sounds throughout its lifespan. The sophisticated design elevates the sound performance. The wide rubber sounds and nickel-plated connections resist oxidation and moisture. They ensure no rust builds up on the sub which extends the durability and lifespan. The subwoofers were designed to maintain low frequency and long displacement suspension systems. You can listen to loud music and get clean bass notes. The direct voice coil cooling system and the vented pole direct heat away from the subs for optimal operating temperature. Other entry subwoofers barely have the power to match the VM Audio SRW10. You can connect the sub to an amp and the sound performance will be better than you expect. The subwoofer is not compatible with some sound systems which are powerful. They can potentially blow the subwoofer. You must be sure not to install the sub with your professional sound system. Professional audiophiles will hear sound differences that entry level subs produce. It must be connected to a power source which it can handle. If not, the subs can blow. With maximum performance comes a heavy-duty long lasting product. People with a taste for detailed and pure sounds will love what the EXW12 Elux offers. It’s the perfect sub to help you improve your music distinguishing skills. The EXW12 Elux was built to last almost a lifetime. The subwoofer is built with a durable rubber surround and nickel-plated connections. It can resist dust, corrosion and moisture. The subwoofer offers you installation flexibility. You can install the sub either on the ported or sealed side. Both offer dual and single impedance configurations. The top tier bass responsiveness meets all your music and bass needs. This is accomplished with the high excursion mechanical suspension system. The 12’’ sub can be challenging to install in some cars where the socket is smaller than the norm. This advanced level subwoofer is a perfect match if you want to listen to soft clean music or hard, heavier bass sounds. The subwoofers supply the power you need for all music tastes. The low frequency subwoofer ensures that low sounds are delivered in a pure form with no distortion. The subs are resistant to oxidation and the die cast aluminum frame ensures the unit is long lasting. The voice coil provided directs heat away from the sub so it doesn’t burn out. The magnetic structure also increases the speed of cooling. The magnets provide excursion and power to deliver sound performance professionals need. 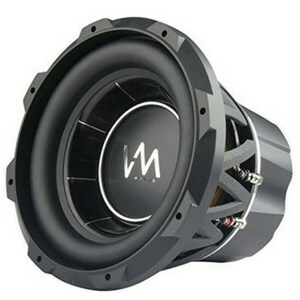 The sub is lightweight, yet it drives a powerful performance unexpected for its weight and size. You have to make sure the Encore 12’’ products you purchase arrive as a pair. Sometimes only one sub is provided. Make sure what you order. I hope I have informed you extensively about the the possibilities of VM Subwoofers in this review. The final decision is yours, but we believe there are better out there.